Jeff Moehlis: Did you enjoy your 4th of July? 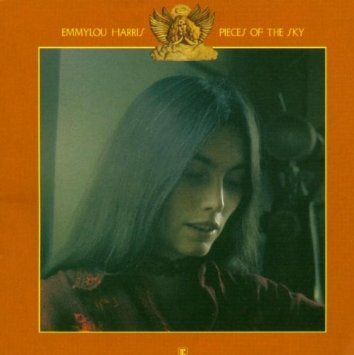 Emmylou Harris: Oh, it was very, very pleasant. My grandchildren are in town, and my other daughter has a pool in her complex and we just hung around and went out to eat. No grilling, no sweat, no nothing – just a nice day with family. It rained. JM: That doesn’t happen enough here. EH: We needed the rain. The sun would come out and it would be perfect, then we’d have rain, then the sun would come out. It was actually kind of perfect. JM: This interview is for your upcoming concert in Santa Barbara. I want to ask you about something that happened a long time ago – I read that you played at the Santa Barbara Bowl back in August 1975. Any chance you remember anything about that show? EH: No [laughs]. But it would’ve been with The Hot Band, so it would’ve been a great show, with those fantastic musicians… Rodney [Crowell]. We always had fun when we played, so I’m sure it was a good time. JM: According to the web, Jesse Colin Young was also performing. EH: OK, you know, we did do some shows with him. JM: Of course 1975 was a big year for you. That’s when two of your solo albums came out – Pieces of the Sky and Elite Hotel. 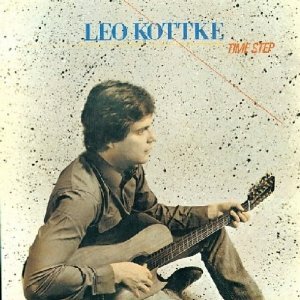 What are your reflections on those albums, a little over 40 years later? EH: I think they stand the test of time. The success of them was a bit of a surprise to me. I’m very grateful for it. I had those great musicians playing on the albums, and I was able to take most of them on the road with me. I think it kind of set the tone for even where I am now. It set the bar of having a really good touring band, and really good people in the studio. I was one lucky girl. JM: Throughout your career, you’ve had a reputation as a great interpreter of peoples’ songs. How do you decide what songs to cover? What is it about a song that speaks to you? I just found myself in a very fortunate position where I could do what I wanted, going back to the surprise success of the first and second albums. I sort of went, hmm, all I have to do is do what I want, and collaborate with great producers and great musicians. I wasn’t really writing. I didn’t have to depend on [laughs] coming up with the songs myself. I could just gather what I wanted. They just seemed to come to me, the songs. You know, you immerse yourself in songs, and then I was surrounded by wonderful writers like Rodney, of course, who introduced me to Guy Clark, and I had known Townes Van Zandt when I was playing the folk clubs in New York. There were just so many good songs around. Susanna Clark. There just seemed to be a plethora of good material out there, and not everybody was plucking from that particular tree, if you know what I mean. EH: Whatever creates the blend. You don’t question it. JM: I want to ask you about Gram Parsons, who you’ve been championing for decades now. 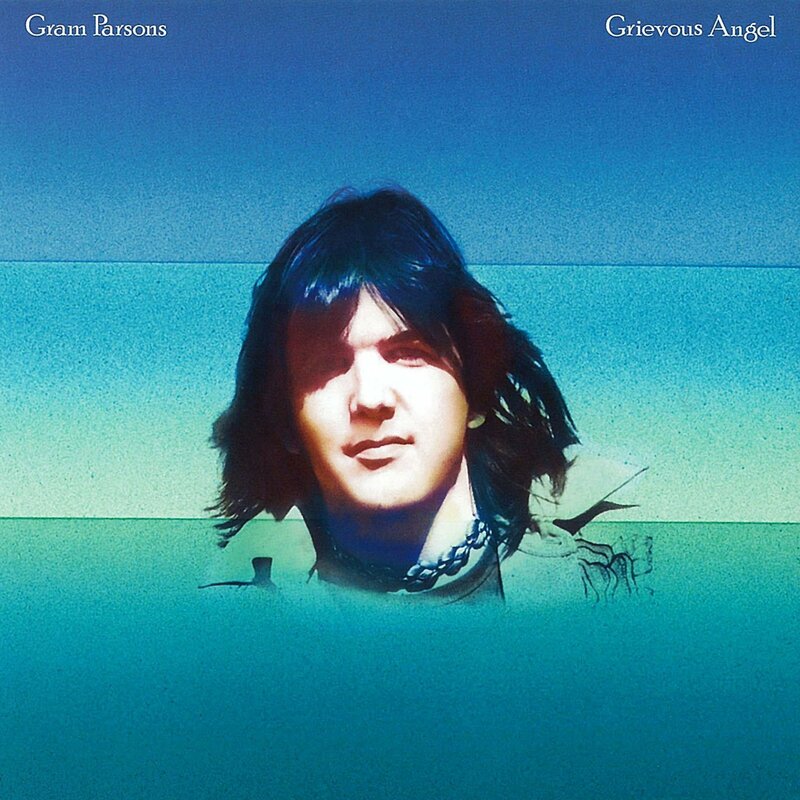 How would you describe the Gram Parsons that you knew? EH: He was really generous. I mean, God, he gave me such a huge part of his stage, on the recordings and when we toured. We had a very, very lovely, gentle friendship. For me, I was kind of like the student and he was my teacher. 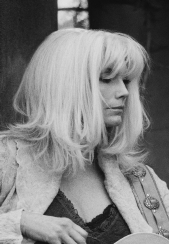 I think he delighted in all the wonderful surprises that he had in store for me musically, you know, turning me on to the Louvin Brothers, and helping me discover my harmony voice which really helped me find my real voice. So I think we both found that partnership… he as a teacher and me as a student, and collaborating on music that I came to really, really love. Because before that, I kind of dismissed country music. I did it a little bit, more as kind of a joke. You know, Hank Williams was OK, and Johnny Cash was OK. But he turned me on to the soulfulness of George Jones, of course the poetry of Merle Haggard, and the harmony singing of the Louvin Brothers. And really, that was the great beginning for me, I think, as an artist. Finding my own place. JM: I’m amazed by how many albums I have that you were on. 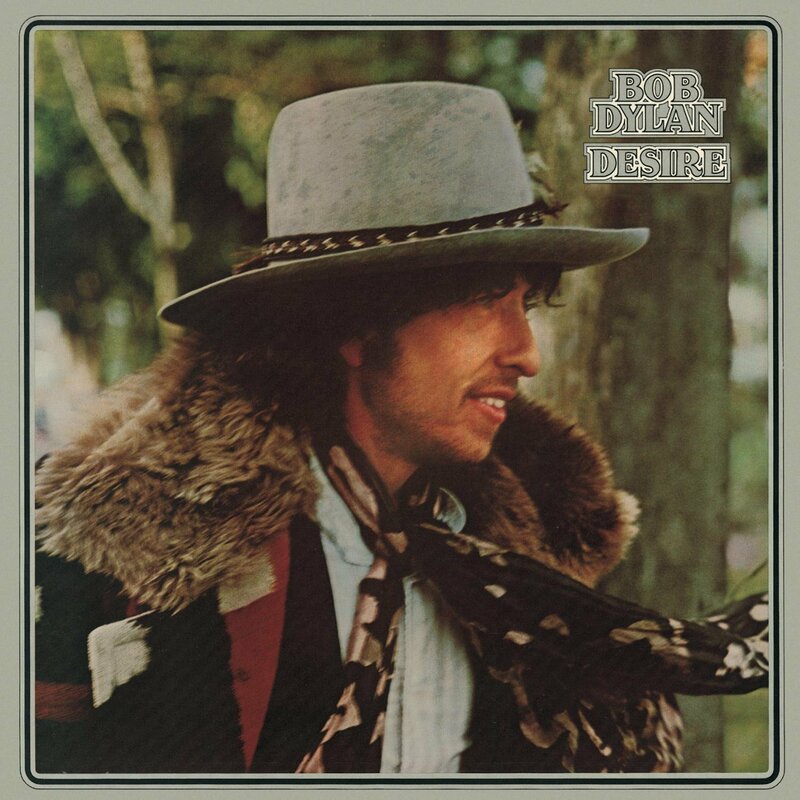 One I want to ask you about was Desire by Bob Dylan. What was that experience like, recording with him, and how was that different from recording, say, with Gram Parsons? EH: Well, I didn’t really talk to Bob [laughs]. I came in, sat on a stool next to him with lyrics in front of me that I’d never heard the songs before, we’d never worked them up, and “1, 2, 3, go!” [laughs] And, of course, he has been my idol – when I first really got into music and started singing, it was because of Joan Baez and Bob Dylan. He was like this larger than life figure. But then, when you actually get down to the work, you have to just do the work. So I had no time to be overwhelmed by the fact that he was Bob Dylan. I just had to come up with the goods – from the downbeat, I had to sing on a song that I had never heard before. And I just jumped in. I think the reason I was able to do it was I just assumed that I could go back and fix things, but of course that was not the case. Because Bob is a recording artist for the moment, and I realized later that whatever things were imperfect on my part was a part of the painting. Like, somebody throws paint on a canvas. I thought, it’s OK, because we were recording the moment. I learned something from that, too, that perfection is overrated [laughs]. 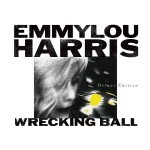 JM: Returning to your solo albums – the Wrecking Ball album was a bit of a change in direction for you. What inspired that move? EH: I don’t want to say something negative, but at that point I had stopped being played on country radio. I had done a record – I had just signed with another subsidiary at Warners [Asylum]. I’ve been with the same company, basically, all my career. Asylum really were committed to taking the left-field artists that were being left off radio. Guy Clark, I think, was the first artist they signed [after reformatting as a country label], then I was the second, you know, to be relegated to that part of the company. There was such high hopes for it, and I think the well-meaning people there at Asylum/Nashville ran into the wall of country radio. It was just one of those things where they came to me after the record Cowgirl’s Prayer, which is a decent record, but I was not invited to the party, let’s say. So they came to us and said, “We really tried,” and they did. “So what would you like to do?” I had a bunch of songs that were probably a little more left-field than usual, and I also had become really enamored of the work of Daniel Lanois. The only two records I listened to were his first solo record, Acadie, and the record that he had produced with Bob Dylan, the Oh Mercy album. They had said, “Is there anyone you want to work with? Do you want to go outside Nashville? Whatever you want to do.” I said, “I would love to work with this fellow, Daniel Lanois.” So they started making some phone calls. So really it was at a point where I had nowhere to go but up [laughs]. And why not just… I didn’t really think I was taking a chance. I really didn’t. I just thought, “I just want to make music that excites me, and I really like the music this fellow is doing. Let’s just get together and see what we come up with.” Probably if Cowgirl’s Prayer had started getting me some even minimal time on country radio, that might’ve never happened. It’s interesting how life has a way of creating opportunities for you, when you think that you’ve hit a wall. You say, “Well, this isn’t working. [laughs] Let me go over here [laughs] and see what’s going on over here.” I think it’s always important to keep yourself open. EH: Oh boy. That’s really hard right now, especially in terms of what’s happened with the DOJ – the Department of Justice – and how they’ve kind of squashed songwriters. I just got an email from a friend. Because a lot of artists are songwriters, and it cuts down on the ability to collaborate. There’s such a wonderful open community of collaboration here in Nashville, and the whole world of songwriting. Anyway, I’m digressing. Just thinking in terms of, let’s say, someone who’s an interpreter like myself – basically that’s always been my bread and butter. It sounds cliche, but you just have to love it. For me, obviously, there’s a certain amount of ego, but it’s always about the song. You are the vessel through which the music comes. So it’s a sacred responsibility when you have that gift of being able to sing and being able to perform. I just think that that should be your priority. I was lucky enough, early on, to be able to be in a position to do what I wanted. But I was surrounded by brilliant musicians and producers and managers, and even record companies. You know, Warner back then were a very, very creative company, and still are in many aspects. I mean, I’m still with them on Nonesuch. There was a coming together of people that were really creative in their own right, besides just the musicians and myself – the artists. You kind of understood that there is a certain magic to making music. I don’t think you should ever lose that. JM: We’re lucky here in Santa Barbara. Dolly Parton is coming is September to the Santa Barbara Bowl, the same place where you’ll perform, and a couple months ago Linda Ronstadt was here to talk about her life. With you, that means that – not at the same time – we’ve had the Trio come to town this year. EH: They’re putting out the two albums plus the outtakes – it’s coming out in September. JM: Cool! Were you surprised by how much that took off? Or given who was involved, was it like, “Of course that’ll be successful”? EH: Well, you never know what’s going to be successful. For us, we had such a joy singing together. We shared a love of harmony singing as well as a love of a good song. 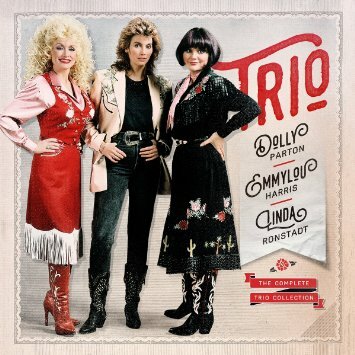 Linda and I, especially, were very close friends, and we shared the fact that Dolly was our favorite “girl singer”, as we said to each other when we first met, Linda and I. So it was just a delightful experience to be able to hang – Dolly, Linda, and I – and have that experience of girlfriends hanging together. And all the while making music. What a wonderful opportunity. What a wonderful experience to have.